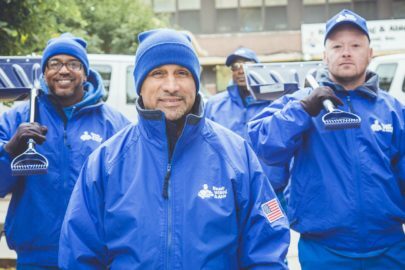 The Doe Fund creates opportunities for homeless and formerly incarcerated men to reenter the competitive workforce and achieve long-term independence. To do this, our Workforce Development department cultivates dozens of affiliations with outside employers who recruit and hire Ready, Willing & Able graduates. 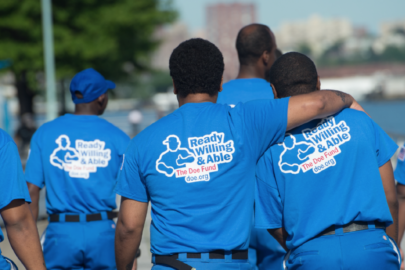 One such employer partner is Great Performances, an NYC-based catering and events company. For the past three years, Great Performances has offered private-sector job opportunities to graduates of our Chef-in-Training program. 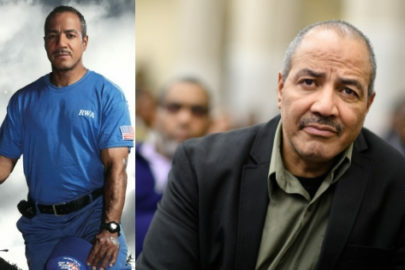 “Our employer partnerships aim to be mutually beneficial—the Men in Blue have a pipeline to jobs that offer solid paying positions with benefits, as well as opportunities for position and wage growth,” said John Powell, Associate Director of Career Development and Graduate Services at The Doe Fund. Great Performances signed on as a Doe Fund employer partner in 2016, after touring our Peter Jay Sharp Center for Opportunity in Brooklyn and learning about our culinary program. The Doe Fund’s Chef-in-Training program remains competitive by offering high-level instruction to prepare men for a progressive career in the culinary sector. Since 2016, Great Performances has hired Ready, Willing & Able graduates again and again to join their catering staff as kitchen porters and bakers, even internally promoting several of these graduate hires to catering, warehouse, or front-of-house positions. 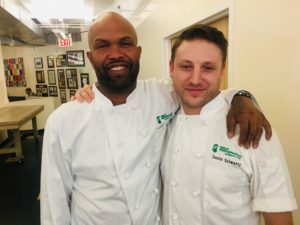 After graduating from Ready, Willing & Able’s Chef-in-Training program, Tyre Shuck (left) was hired by Great Performances, where he is now supervised and mentored by Executive Chef Justin Schwartz (right). Employer partnerships are vital for placing Ready, Willing & Able graduates in long-term careers that offer good pay and benefits. Along the way, they also become important stewards of the The Doe Fund’s mission and champions for the Men in Blue. To learn more about becoming an employer partner at The Doe Fund, visit our website or email hire@doe.org.